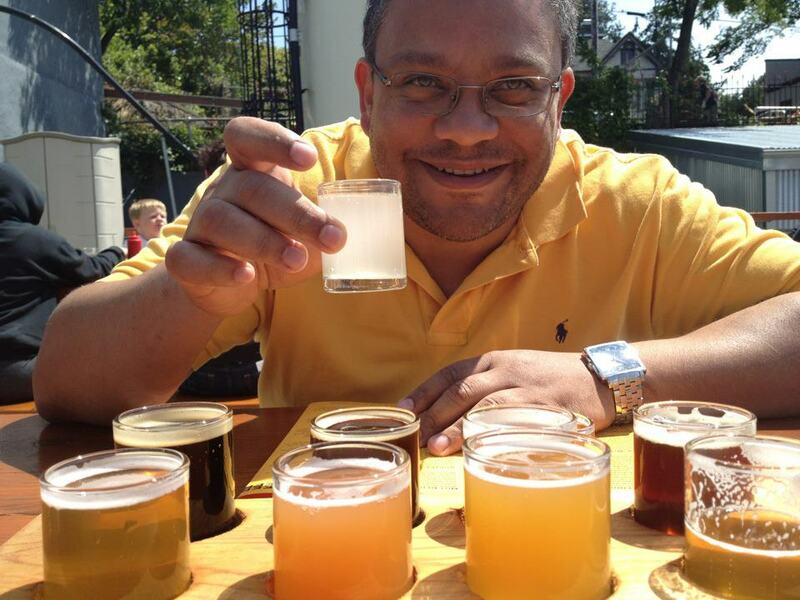 I first met Todd Buckley a few weeks ago when he organized a tour of Tacoma Brewing Company. He was a gracious and enthusiastic host with plenty of knowledge and passion for alcohol. Up until then, I’d never heard of the Tacoma Alcohol Consortium. By the end of the tour I decided that everyone in Tacoma with an interest in drinking should know about it. 1. What is the Tacoma Alcohol Consortium? Tacoma Alcohol Consortium was designed to elevate the importance of locally crafted alcohol, because there is an urgency for awareness, education, and enjoyment of, what I believe to be, Tacoma’s second renaissance (the first being the art/museum scene). The mission of TAC is: Sharing Enjoyment Through Imbibing Locally Crafted Alcohols. The mantra is: Drink Smarter. I have been pursing my dream of opening Tacoma’s first distillery since late 2009. I started to put my resources and energy into the distillery business in 2010 and since then I have been doing my best to figure out creative ways to get this business financed and open to the public. The concept of Tacoma Alcohol Consortium actually came to me during morning meditation. I had these thought of “a rising tide lifts all boats”. Then the question for me became, how can I accomplish that goal, not just for my distillery, but for everyone making alcohol within the greater Tacoma area. Tacoma has a chance to be a destination place on the map nationally if we all work together and seize our destiny. Tacoma was once the largest alcohol producer on the West Coast. There is no reason that cannot happen again. 3. How can people participate with the Tacoma Alcohol Consortium? First, if you are on Facebook, click the ‘like’ button on our Facebook Page. Secondly, start reading and get engaged. This community can only thrive if people have passion and deep interest in the topic of locally produced alcohol. Frequent restaurants and stores that promote and sell locally made alcohol. When you see your friends drinking a fancy import, ask them if they’ve tried the fancy local beer, wine, or spirit. When you go to a restaurant or store and you don’t see local alcohol for sale mention it to the manager. 4. What are some of your favorite Tacoma places to imbibe? Tacoma is a drinking town. There are too many places to list, but my heart is about cocktails and I would be most overjoyed when I would sit at the bar at the original Hilltop apothecary, 1022 South, with Chris Keil. Now I spend a lot of time at Tacoma Cabana. Jason Alexander is doing great things with Rum. There are numerous breweries that I enjoy like, Wingman, E9, The Harmon, and Tacoma Brewing Company, as well as locally produced wine at 21 Cellars and Stina’s Cellars. 5. What is your ultimate goal for the Tacoma Alcohol Consortium? There are approximately 200,000 people in Tacoma and almost 2/3rds of those people are of legal drinking age (about half the American population doesn’t consume alcohol – a fact I found amazing), but that still leaves a lot of potential influencers to support a thriving ecosystem of locally made alcohol. I would like to see Tacoma create a healthy culture around producing and consuming alcohol which would make the City of Destiny a destination spot for people all over the world to come and enjoy. Plus, 50,000 Facebook Fans for TAC wouldn’t be bad either. I first encountered Tacoma Brewing Co.’s place while looking for somewhere to have a drink before I went to see a movie at the Grand. Morgan’s brother, Tristan was working. Lately, craft brewers have been popping up everywhere in and around Tacoma. Most of them make an IPA, a Stout, and maybe something slightly different. The choices at Tacoma Brewing were strange and exciting. I ordered a honey/strawberry beer. After that, Tristan let me taste a few others. Not one of these beers seemed like a safe bet to me. Each seemed to be pushing the envelope of craft brewing. Sure, they had a stout but it was a cherry/pomegranate stout. As I talked to Tristan, he told me about his brother, Morgan. He said, “He’s been brewing stuff practically since high school when he learned you could turn sugar into alcohol. 1. How did Tacoma Brewing get started? It got started out of an obsession to make flavor-forward beers for the masses… or at least Tacoma! It was some years in the making but after getting feedback from dropping samples off at my favorite watering holes, I decided to go for it and file for a commercial beer making permit. 2. What’s your favorite brew you’ve made so far? My favorites are the Penalty Kick Double IPA (11%) – it drinks like a 7% and is very citrus hoppy – very juicy! On the darker side I like the Kentucky Bourbon Stout… because I love bourbon and it’s very bourbon-forward. 3. What’s the most misunderstood thing about craft brewing? I’m not sure about that one! 4. Where can people get your beer? People can get my beer at the taproom and as of this week at the Red Hot and Parkway – and soon other fine beer places. 5. What’s next for Tacoma Brewing? Next is scaling up production and moving to a larger space. That’s the two year plan, at least. I am also one of the only breweries making a “pre-prohibition style ginger ale” line (contains alcohol) and I hope to start bottling them by this fall to get it out to local grocery stores and bottle shops. I’d like to thank Morgan for participating in 5 Question Friday and I’ll say right now that his ginger ale is amazing. You can try his continuing changing selections yourself at Tacoma Brewing Co. at 625 St. Helens Ave., Tacoma, WA 98402. They’re open 5pm – 9pm Mon-Fri and 3pm – 9pm on Saturdays.